Just a friendly reminder that * * TOMORROW * * is the last day of Sale-A-Bration! For every $50 you purchase, you can choose one of 24 products for FREE! Yippee! 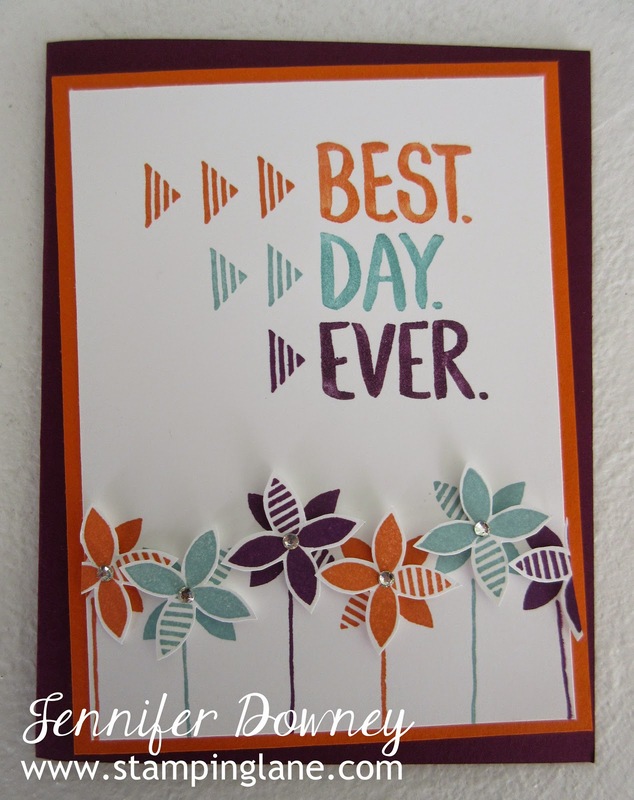 With that announcement, I thought I would share a fun and quick card I made using one of those FREE products - the Best Day Ever stamp set. Like yesterday's card I shared with you, I opted to angle my layers of card stock on the front again just to make it a little different. I love these little pinwheel flowers! Super fun and cute and takes only two stamps in that set to create them. 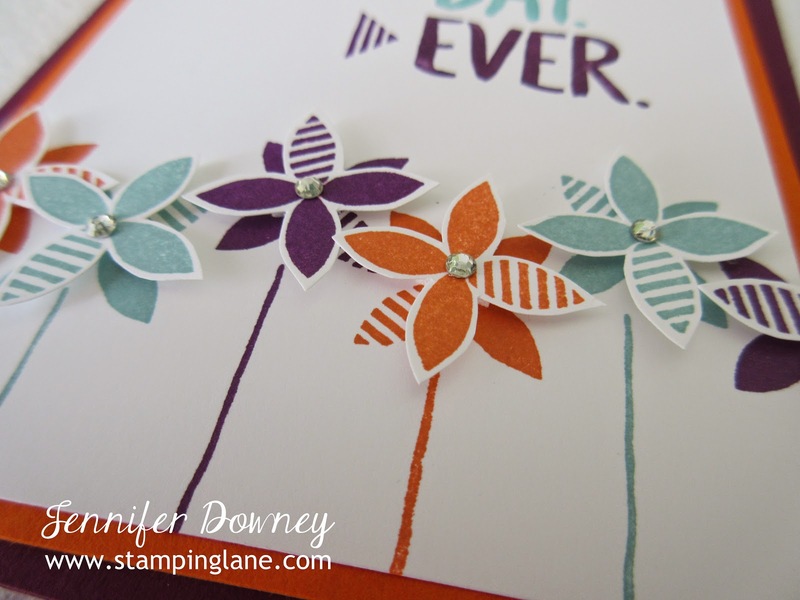 I first stamped a flower on the large piece of Whisper White card stock then I stamped an additional flower on another piece of card stock and hand cut it out. I put a Dimensional on the back of the hand cut one and turned it slightly before adhering it down to give the flowers a little depth. Add a little Rhinestone to the center of each and you're done. Happy Stamping!